There are several ways for users to create an account. 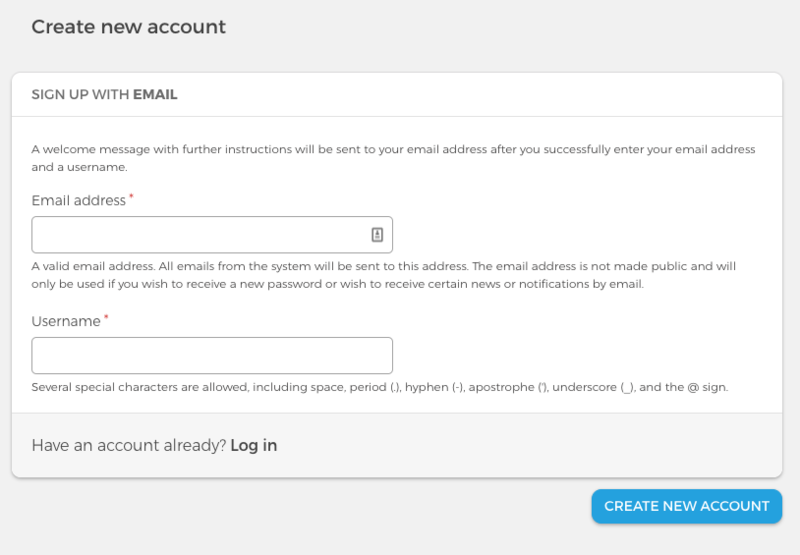 The default registration process allows everyone to fill in the registration form (email address and username). After filling in the required information, an email will be sent in order to verify the email address. The email contains a link that directs the users to the account page and the password can be set.